As a response to Benjamin Netanyahu’s pre-election statement that there wouldn’t be a Palestinian state on his watch, Denis McDonough delivered a speech to ‘J Street’, a left-wing Jewish-American Organization. 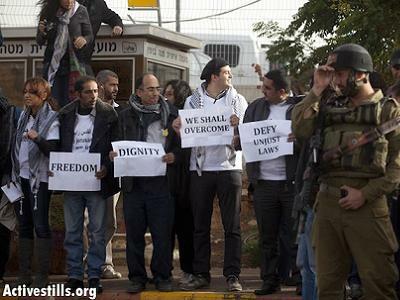 McDonough declared that “The occupation [of Palestinian lands] that has lasted for almost 49 years must end.” Hog wash! If the US is so serious and eager about ending the Israeli occupation of the Palestinian lands, why just two months ago it voted against a resolution to end that same occupation? The US even pressured other countries to vote against the resolution. The UN Human Rights Council (UNHRC) approved three resolutions that called for the right of the Palestinian people to self-determination, “including their right to live in freedom, justice and dignity and the right to their independent state.” The US was the only UNHRC member to vote against the three resolutions. White House Chief of Staff Denis McDonough speech is hypocrisy at its worst! McDonough is not a killer and I am sure he would never condone killing innocents, but in his speech to ‘J Street’ he was no different from the killer who eulogizes his own victims. The failure to end the Israeli occupation of the Palestinian lands has been the result of decades of Israel being appeased and lavishly rewarded by the US regardless of what it does. And the price of appeasing Israel is paid by the Palestinians. It is hard to ignore the fact that America was not an honest broker between Israel and the Palestinians. Whenever the US could not persuade Israel to move, Washington would turn its attention to the weaker side, the Palestinians, demanding that they offer more concessions instead. During the past 49 years the US has been defending Israel’s aggression against the powerless Palestinians without providing a rationale for supporting actions to deprive the indigenous people of their natural rights. When it comes to the Palestinian issue, Israel dictates and the Americans follow, placing Israeli interests not only ahead of the Palestinians’ but even ahead of US concerns. The Israeli-Palestinian conflict has always been regarded at the root of many regional problems, one whose resolution would help solve many other crises in the area that concern the US as a super-power. It is hard to explain why many politicians especially the US President, European leaders and even the Palestinian leadership were surprised when they heard it explicitly from Netanyahu during Israel’s election campaign, rejecting a two-state solution and portraying Arab voters as a threat. Words in politics are cheap and only actions count, but this time Netanyahu’s words match the Israeli governments’ policies and actions in the occupied lands. Netanyahu, however, was not telling the truth in his 2009 speech at Bar Ilan University when he said “In this small land of ours, two peoples live freely side by side, Each will have its own flag, its own national anthem, its own government…” While paying lip service to the two-state solution, Netanyahu has relentlessly worked to undermine it during his terms as prime minister. Israel launched record-breaking new settlement construction of 14,000 housing units during the last nine months of negotiations with the Palestinians and the US agreed to abandon its demand for settlements construction freeze. According to the Israeli journalist Nahum Barnea, the Palestinian Authority leader Mahmoud Abbas offered major concessions on borders, the right of return, Israel’s security, settlements and Jerusalem, and Netanyahu refused even to slow down settlements construction for three months, and the US stood by Israel. The international community and the Palestinian leadership know that all Israeli governments’ actions since 1967 suggest Israel is not interested in ending the occupation and colonizing the West Bank and Jerusalem. The US, the strong defender of Israel, the Europeans who sheepishly follow behind the United States, and the Palestinian leadership which is deeply committed to the defunct Oslo agreements and negotiations, should not be surprised by Netanyahu’s declaration that he would never permit a two state-solution. They all know what Israel is up to. The US has been defending the ongoing occupation, the siege and starvation, the genocide and destruction of Gaza. 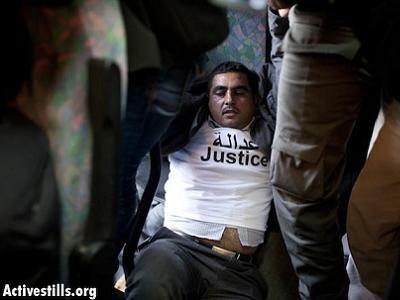 It has allowed Israel to think that it can get away with violations of the Palestinians’ human rights. Israel has no plans to recognize the Palestinians rights as long as it is getting unconditional support of the US. The international community knows that Israeli governments used negotiations since 1993 as a convenient cover for their expansionist schemes. Israel does not want a negotiated two-state solution; it annexed East Jerusalem and keeps confiscating Palestinian lands, and builds and expands Jewish-only settlements and Jewish only highways in the occupied lands. The election of Netanyahu or his political opponents will make no difference in the lives of the Palestinians in the occupied lands, in Gaza and in refugee camps. 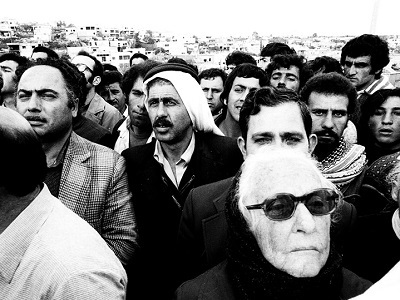 After a century’s long process of displacement, dispossession, the massacres, the theft of the land and culture, the colonization, the destruction of Gaza, the Judaisation of Jerusalem especially under the cover of Oslo, I am not optimistic that a true sovereign state within the 1967 frontiers, and the return of the refugees will be achieved under the depleted, exhausted and expired “leadership” that brought the Palestinians to the present condition. The Israeli Prime Minister David Ben-Gurion, French Prime Minister Guy Mollet and British Foreign Secretary Selwyn Lloyd held a secret meeting in Sevres, France on October 22-24, 1956 to discuss military action against Egypt. The three leaders reached a plan of attack on Egypt called “Treaty of Sevres”. Israel would drop paratroopers in Sinai east of the Suez Canal to destroy the Palestinians guerrilla camps, and then Britain and France would announce a joint ultimatum to Israel and Egypt to cease military action for fear of disturbing shipping in the Canal. Israel would accept the ceasefire, but they were counting on Egypt to reject the Allied conditions; then the Anglo-French would land their paratroopers along the Canal and seize the waterway. In the meantime, the Allied air-force would attack Egyptian airfields and destroy Nasser’s airplanes. The plan was executed, and by November 2, all Sinai and Gaza Strip were occupied by Israel and Anglo-French military occupied the Suez Canal area. The victory excitement was short lived. President Eisenhower sent a letter to Ben-Gurion demanding immediate withdrawal from Sinai and Soviet Prime Minister Nikolai Bulganin threatened Soviet intervention. Britain and France backed down and Israel withdrew from Sinai.